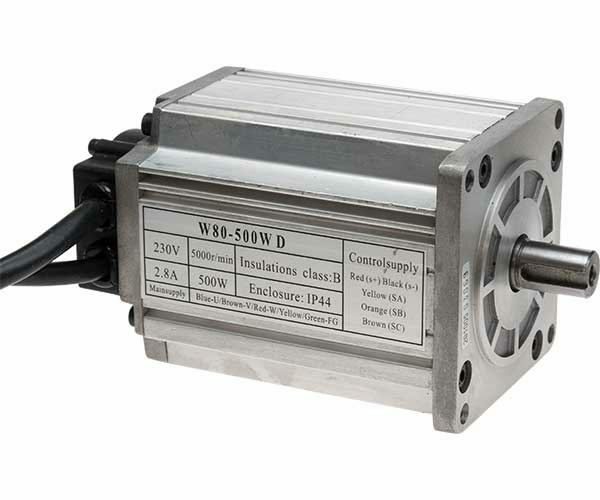 Brushless DC Motor for the SC3 Lathe. Drive Shaft: ø14 x 22mm with circlip groove, 5mm wide keyway and M6 thread. Mounted at the rear end of the motor, a Hall Effect Sensor is used to send rotor position information back to the SC3-112 Main Control Board helping it to manage acceleration/deceleration times and maintain motor speed under different load conditions.